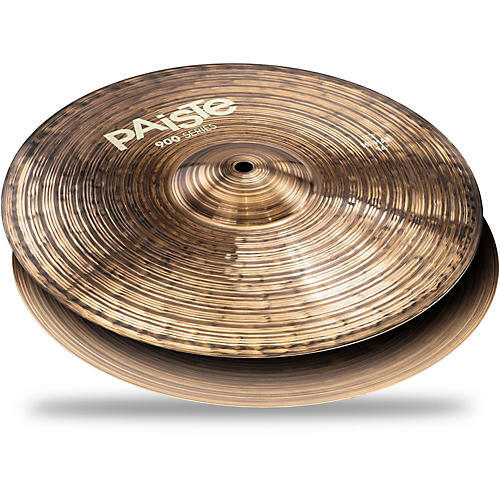 Paiste's 900 Series hi-hats combine every drop of their 100+ years of cymbal-making knowledge to deliver an articulate, well-balanced hats that react perfectly to your playing style. Whether you're a heavy hitter or have a light touch, the 900 Series hi-hats respond to your touch with a versatile sound that transcends all musical genres. 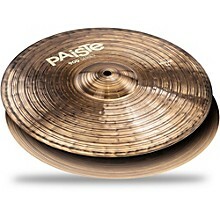 The combination of a medium top and heavy bottom has a warm, clear sound with a nicely defined chick, and produces a wide range of volumes when opened or closed.